This was by far the most beautiful place I’ve ever stayed. 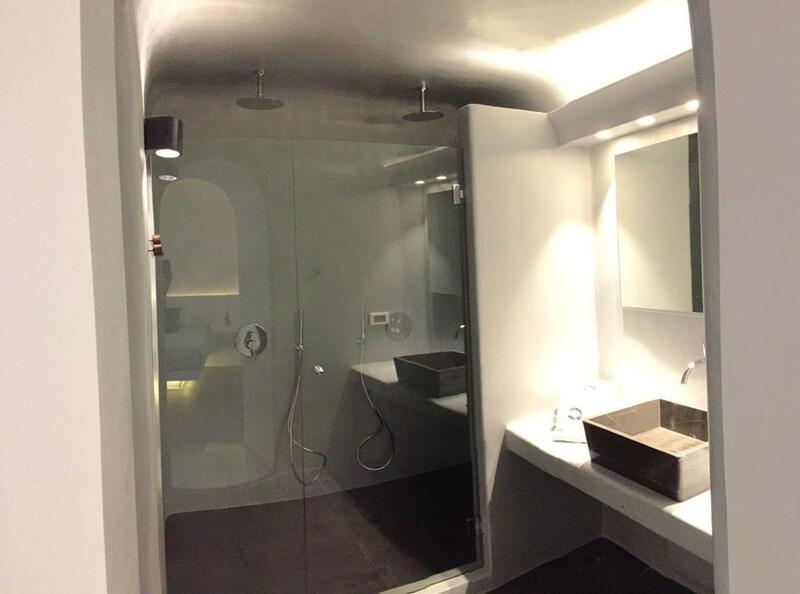 Their Superior Cave Suite was incredible. Amazing location, amazing quality and outstanding service. 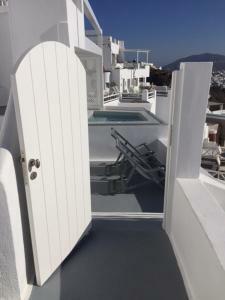 They also have a private pool for hotel guests at the highest point on the island! Do not miss that! And the owners are these incredible twin brothers that clearly put their heart and soul into this property. They are fantastically knowledgeable and their hospitality is impeccable. I give them my highest possible recommendation. This place was amazing. Stayed here on our honeymoon. Highly recommend. Huge room. You can see the Acropolis from bed! Great restaurants and shops right outside. The service is hands-down what sticks out in my mind. The staff consistently went above and beyond for us at every turn and we're grateful for the assistance that they provided not only on-site, but in tracking down luggage at the airport and escortIng us to locations. The coordination of site seeing and travel was also immensely helpful. They displayed an amazing knowledge of the island. Also, the ease and quality of the breakfast was terrific. This was a dream accommodation for me and my family. 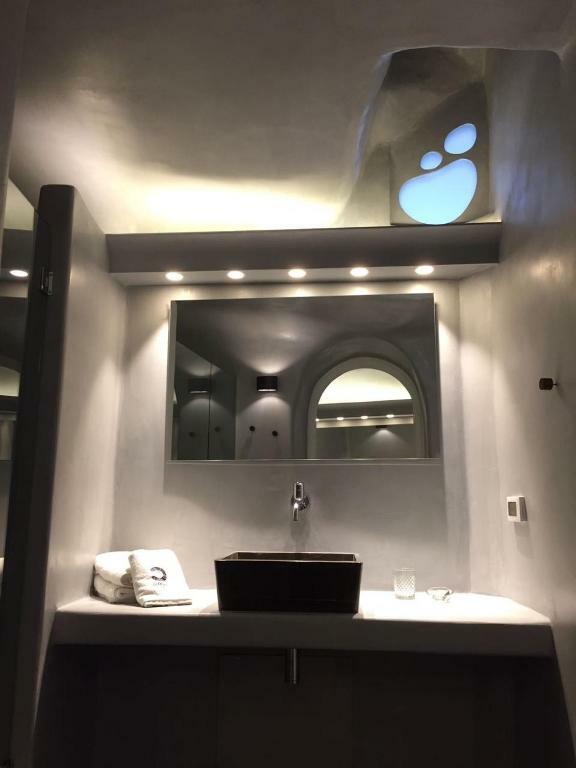 In addition to being something like stepping into a postcard esthetically (both the villa itself and the surroundings), the staff were exceedingly gracious and helpful, the villa well equipped and functional. They upgraded us to a 2 bedroom suite at no charge. the hosts were amazing! Very kind and helpful staff. Good breakfast Nice view, well designed room with all expected comfort. Jacuzzi especially appreciated as the weather was not really fine. Good location close to the center. We could not have asked for a better location. The villas are situated overlooking the most beautiful views of Santorini. Villas were clean and surrounded by several restaurants. Management and staff were very helpful and accommodating. These guys know how to make you feel at home. 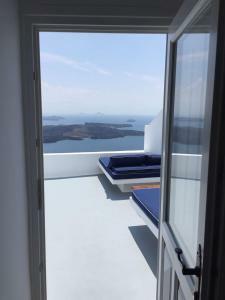 From the moment we arrived we fell in love with Santorini and our place. Lucas at reception answered all our questions and gave us all the information we needed. We also loved the owners & the bar man at the property. When we’re back, we know where we will be staying. Thanks Altana we will see you soon. Lock in a great price for Altana Cliffside Villas – rated 9.4 by recent guests! One of our best sellers in Imerovigli! 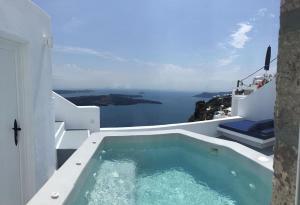 Altana Cliffside Villas are set in the heart of the cliffside settlement of Imerovigli, in Santorini. 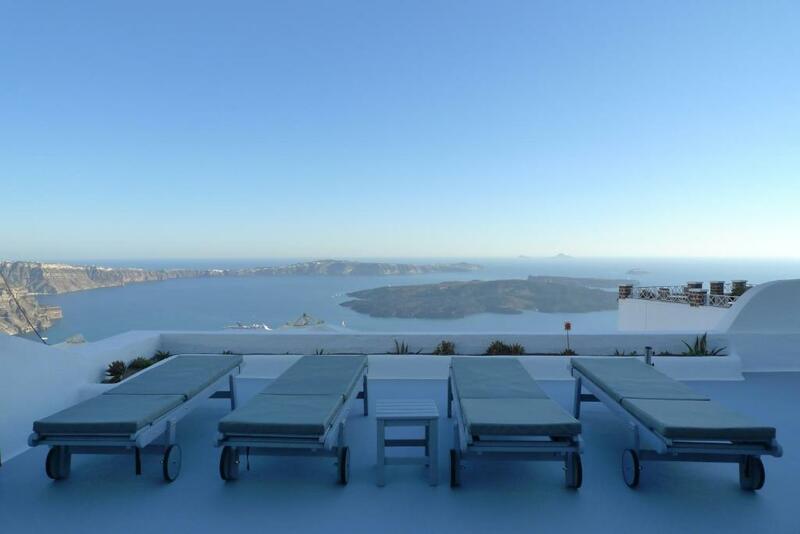 The nearest airport is Thira Airport, 3.1 mi from Altana Cliffside Villas. The lively Fira Town lies within a 20-minute walk away, while the scenic Oia can be reached within a 15-minute drive. When would you like to stay at Altana Cliffside Villas? Housed in a restored wine cellar, dating back to 19th century, this cave-style villa comes with 2 bedrooms, 3 bathrooms, a spacious living room and a spacious, furnished terrace. 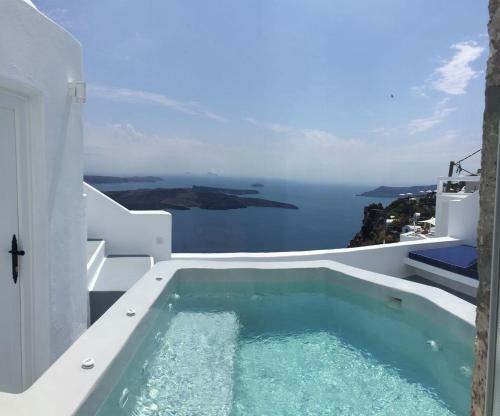 It offers a sheltered outdoor plunge pool, panoramic views over the Volcano, the Caldera, the Aegean Sea and the traditional settlement of Imerovigli. 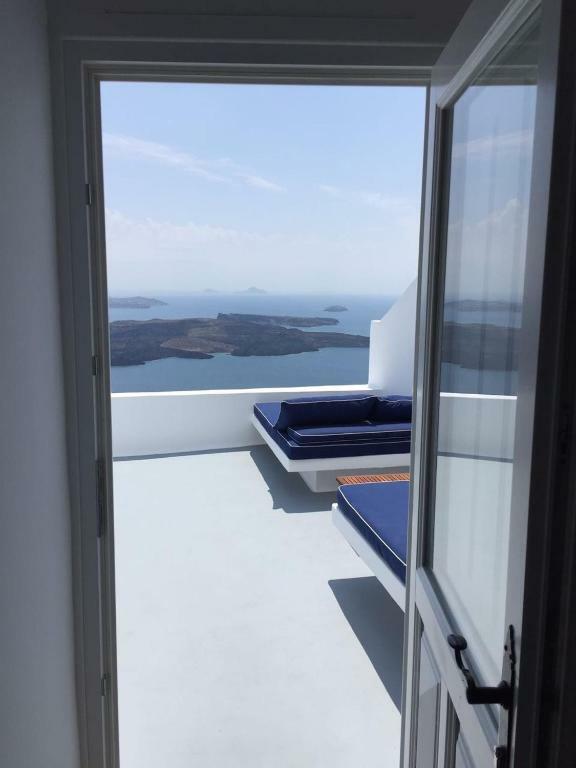 Located at the top of the villa, this air-conditioned room offers Caldera views and includes a satellite, flat-screen TV, a safety deposit box and a bathroom with slippers and free toiletries. This apartment blends traditional and modern architecture and offers panoramic views of the Cliff from its private terrace. 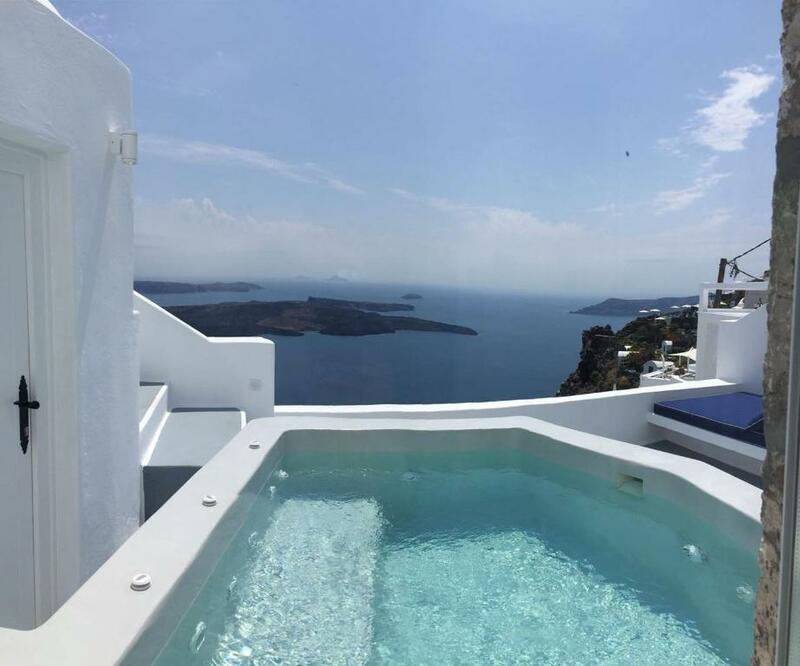 There is an outdoor dip pool with spectacular views of the caldera. Second generation of hosts & island guides extraordinaire, the twin owners Christos & Marios will be at your service in making your time on Santorini an unforgettable experience! Our Villas are located inside the traditional settlement of Imerovigli, offering beautiful views of the cliff side, the volcano and the unique architecture of the village! Great food can be enjoyed just a couple of minutes away, strolling through the narrow walkways and spectacular terraces on the edge of the cliff. Apart from the natural beauty and the breathtaking location of our village, another one of our favorite things about our neighborhood is that it is a great base for exploration on the island. 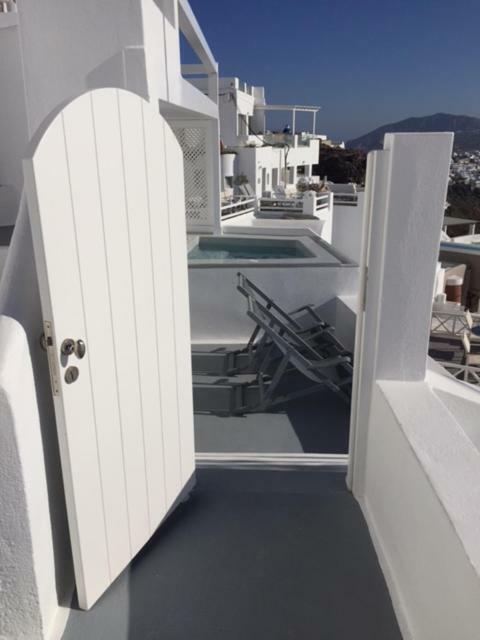 Whether on foot or by car, access to all places of interest is a short walk or drive away, giving the option to our guests to enjoy the peace and serenity of a preserved traditional town, escaping the bustling crowds of Fira and Oia, but being very close to the action if they wish to partake! House Rules Altana Cliffside Villas takes special requests – add in the next step! Altana Cliffside Villas accepts these cards and reserves the right to temporarily hold an amount prior to arrival. Please inform Altana Cliffside Villas of your expected arrival time in advance. You can use the Special Requests box when booking, or contact the property directly using the contact details in your confirmation. 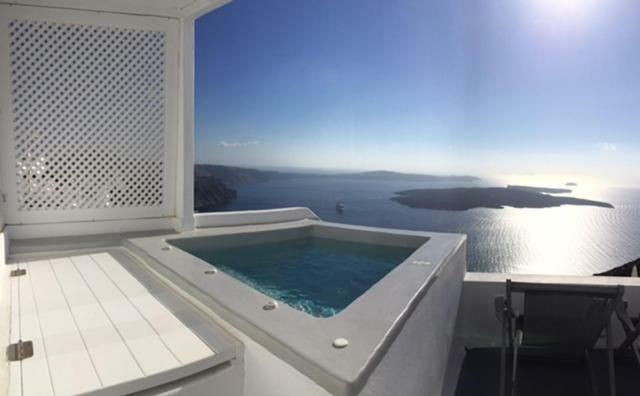 Please note that check-in and key collection take place at: Altana Traditional Houses & Suites Reception, Imerovigli, Santorini 84700. The bottom sheets on the bed were not fitted and kept moving around. The view was amazing. Imerovigli is much quieter tha Oia or Fira. All the staff were so helpful and friendly. They genuinely enjoyed talking with the guests and wanted them to enjoy their stay. The views are stunning and the room is very comfortable. The facilities are top notch. 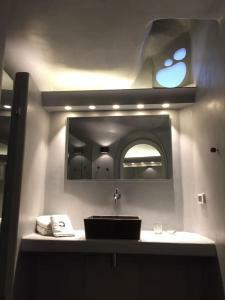 They change the plunge pool water with each guest. If you need help to find the place I recommend asking for transportation as they also help you with your bags which would be difficult to navigate with the stairs. Check out wasn’t smooth but owners were reachable. Marios and Cristos were the property owners and their hospitality was excellent. They upgraded us to larger suite and the kids thoroughly enjoyed the property and specially the hot tub. Christos and Marios, the owners and hosts are without parallel in hospitality. Knowledgeable, helpful, enthusiastic, they made our stay perfect. We followed Marios itinerary suggestions and saw and experienced much more of Santorini than we would have managed without his insights.